Search engine optimization is just as important as it was last year, if not more. That’s why companies who rely on the power of the Internet to boost their numbers must practice certain SEO measures this year to ensure their relevance, profit and continuity. If your website and online reach didn’t gain significant growth last year, then don’t fret. Let 2017 be another year to improve your efforts and help you reach the top. From the latest Penguin update to amplified mobile usage, there are plenty of 2017 SEO tips to take note of. To get you started, we’ve prepared the most crucial yet simple SEO practices for 2017 below. 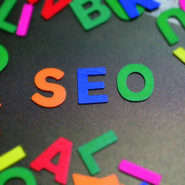 Keywords are crucial in SEO. However, it’s not the only thing that matters when it comes to improving your efforts this year. In fact, expert have weighed in and found that more businesses should concentrate on better audience targeting than just increasing keyword research. Learn to ask the right questions as you discover who your content is really intended for. Who are they? What interests them? Why are they purchasing certain goods? Which parts of your website are they clicking into the most? Why are they visiting your website in the first place? Once you have a better understanding on who your audience really is, the better targeted your campaigns become. There’s a lot to be said about social media marketing. Some companies don’t believe it’s helping them gain significant relevance and attention while others are firm believers in its “viral prowess”. However, there is more to it than just posting content on your website or social media. In fact, external content couldn’t be more important this year. It’s what will gain citations, increase your web traffic and help you build more quality links. Upload compelling content on YouTube or post on your LinkedIn account. Get your Flickr or Pinterest account active and rolling again so you are building content beyond your comfort zone. Make sure that whatever you post externally is meaty and substantial. Moreover, always tag it with your brand name as well as contact details. To this day, many still neglect the importance of tagging their images properly. They carelessly upload images that are named just as their camera has named them, with a bunch of numbers and dates. Doing this doesn’t help your ranking because it doesn’t make sense to Google. What you need to do is to name and tag your images correctly by using natural keywords to describe the image. Do this in all the images you upload online. Moreover, you may just gain better traffic in Google Images as a bonus. While you’re at it, make sure you are incorporating ALT and title tags too. Just make sure you are naming and tagging accordingly. It should be directly related to the image you are uploading. We are nearing the age wherein there will be more mobile users than desktop ones. More and more rely on their phones to gather information and conduct transactions on the fly. If your website is still not optimized for mobile, then you are certainly missing out on the opportunities of better ranking and increased online presence. It’s high time you design your website to become mobile-friendly. Make it easy for it to load fast and for mobile users to instantly see what they need from your website. For example, it has to be convenient enough for a person who is trying to purchase an item using their iPhone in seconds. If your website is still on http mode, then now’s the best time to make an upgrade and switch to https mode. Depending on your hosting setup, this should be fairly easy. All you have to do is to buy a SSL certificate, install it on your webserver, and make sure your site loads in secure mode entirely. What this does is it doubles your security and safeguards your protection. This way, you can concentrate better on increasing your ranking online. Google Analytics doesn’t only tell you if your efforts are paying off. It will also provide you with a more insightful way on how to make things better for your business online. This is why we want you to pay more attention to it this year. Don’t just check on analytics once a while. Try and commit to a weekly review and checking all the data, from your mobile users to the most common search queries. This way, you are making only the wisest decisions moving forward.